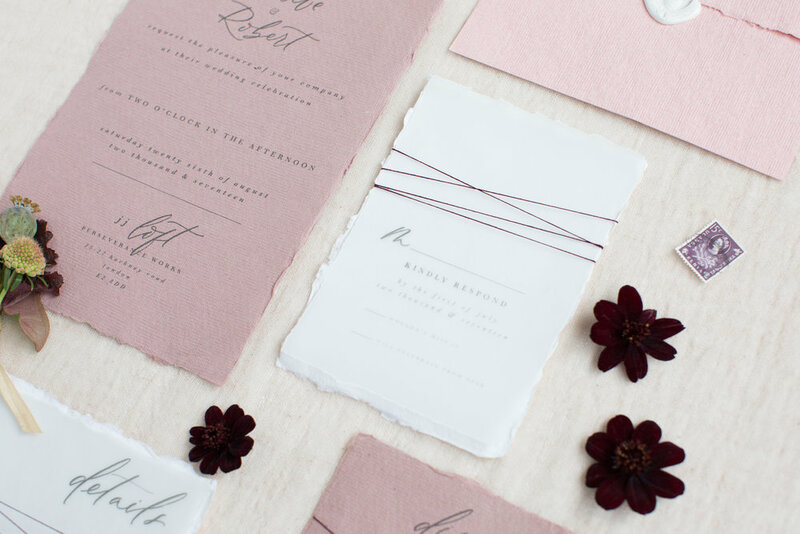 OUR BESPOKE STATIONERY SERVICE COVERS EVERY ASPECT OF DESIGN FOR YOUR PAPER GOODS. 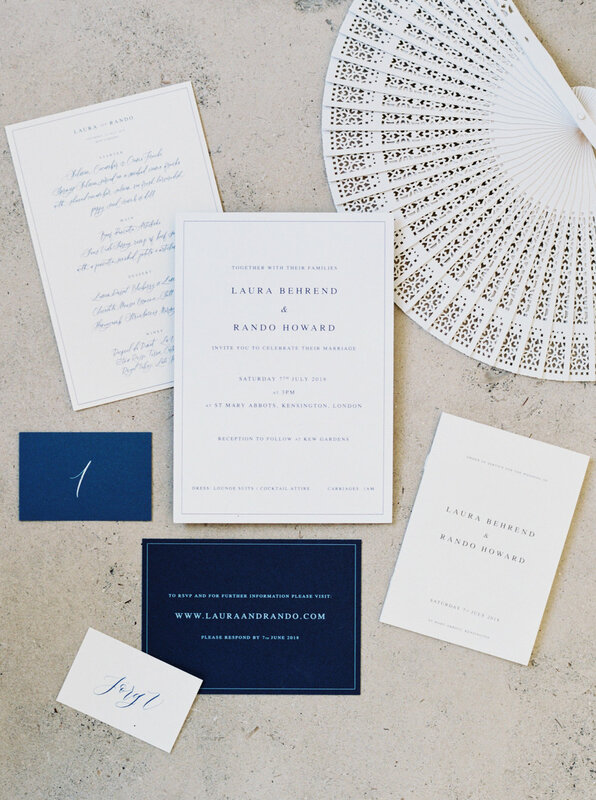 WE SPEND TIME UNDERSTANDING YOUR VISION AND COLLABORATE WITH YOU TO CREATE ONE-OFF INVITATION SUITES. WE MAKE SURE THAT EVERY DETAIL FROM YOUR ENVELOPE CALLIGRAPHY TO YOUR WAX SEALS REFLECT THE ESSENCE OF YOUR WEDDING DAY.